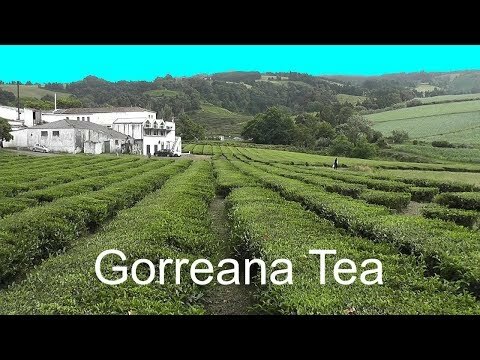 Since 1883 the company Gorreana produces black and green tea. It’s a Portuguese company (in the family for five generations) headquartered on the Island of São Miguel in the Portuguese Azores. It is the oldest and currently only remaining tea factory in Europe. The tea is 100% biological: totally free from chemicals as herbicides, fungicides, pesticides and conservatives because natural tea plagues do not survive on the islands climate. Green and black tea was introduced in the island in 1750, brought by ships returning from the Eastern world. The tea is made of dried leaves of the plant “camellia sinensis”, a small three of the Theaceae family. All tea comes from this plant and its hybrids. The difference in teas is based on the leaf selection and processing.